It is not often that a cricket captain on the field is demoted to an Army captain on the political battlefield. Cricket is a game of chance. It is not often that a cricket captain on the field is demoted to an Army captain on the political battlefield. Cricket is a game of chance. Politics is the art of articulation. 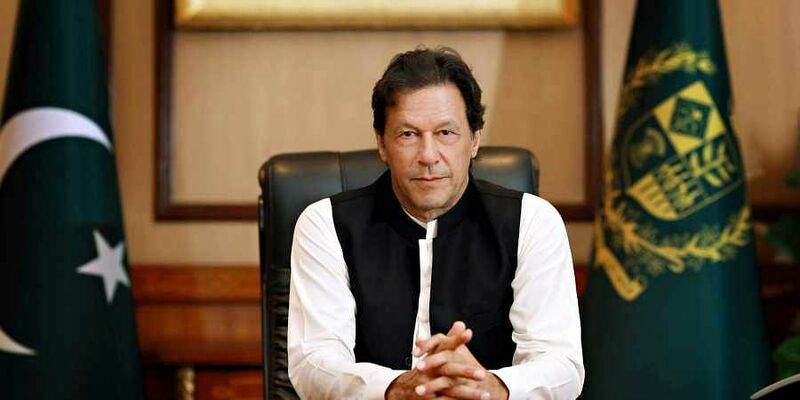 It’s not by chance that Pakistan’s political apprentice and prime minister Imran Khan’s subaltern narrative is dictated by the generals, as the hyperbole on politics and diplomacy shows. In his heyday, Imran has sent many famous players packing with reverse swing, but these are dog days when his stumps are being broken by his own inswingers. After five months in the PM’s chair, he has flopped on all fronts. Pakistan’s economy is on the way to its own funeral. AK 47-wielding fundamentalists roam the hood, kidnapping and killing on ISI’s orders. The faith of the international community, including that of long-time ally America, in Pakistan’s democratic credentials is melting faster than Wasim Akram’s bowling. The West was hoping to do business with the urbane Imran, who was seen as everybody’s best bet to sideline the clerics with the military’s help. But in the hall of mirrors that is subcontinental politics, Imran has turned out to be a babe in woods. Like many of his predecessors in office, he has chosen India-bashing rhetoric as the only time-tested instrument for durability. It keeps the jihadis in good humour. It enables the Pak army to play its murderous games along the LoC. 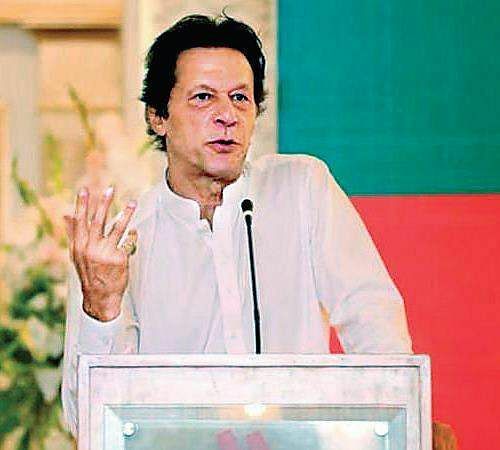 As the military’s caged premier, Imran spends more time scheming against India than brainstorming with officials to pull the economy and civil society out of the pits. Last week, he crossed all limits of diplomatic decency by giving puerile lessons to Prime Minister Narendra Modi on dealing with minorities in India. Normally, heads of governments avoid meddling in the internal affairs of other nations. But Imran’s business is to mind India’s business. He went on verbal bombing sorties against India. “We will show Modi how to treat the minorities”, he was quoted as saying by the media. His tweet on Jinnah’s paranoia read, “His (Muhammad Ali Jinnah’s) struggle for a separate nation for Muslims only started when he realised that Muslims would not be treated as equal citizens by the Hindu majority. Naya Pak is Quaid’s Pak & we will ensure that our minorities are treated as equal citizens, unlike what is happening in India.” Imran’s maladroit moans are about as genuinely Islamic as the pork-eating whisky-swilling Jinnah’s lament. For decades, the cricketer was one of the few Pak nationals to drink and dine at the parties of India’s rich and famous. He has spoken at important conclaves organized by many Indian organizations, including the media. He has free access to a throng of Indian politicians across parties and knows many Indian corporate leaders. Though he was a world-class cricketer, no other cricket-loving nation has given him such attention and respect. Naseeruddin Shah, who is perturbed about the safety of his children, tweeted, “I think Mr Khan should be walking the talk in his own country instead of commenting on issues that don’t concern him. We have been a democracy for 70 years and we know how to look after ourselves.” The most lethal sixer came from Mohammad Kaif — “There were around 20% minorities at the time of Partition in Pakistan, less than 2% remain now. On the other hand, minority population has grown significantly in India since Independence. Pakistan is the last country that should be lecturing any country on how to treat minorities”. Amnesty International can dine out for years on Pakistan’s human rights record. Christians and Hindus who refuse to convert to Islam are murdered. Asia Bibi, who was jailed for drinking water from a pot used by Muslims, fled abroad after death threats. The Hazaras of Baluchistan province are constantly attacked and killed by Taliban, Islamic State, and other Sunni Muslim terror gangs. Suicide bombers target their markets and mosques. Ever since military dictator Zia ul Haq brought in a constitutional amendment that declared Ahmadis non-Muslims, the pogroms haven’t stopped. The Blasphemy Law is a scary tool for radicals to kill or lynch anyone not deemed Islamic enough. According to the Lahore-based Center for Social Justice, between 1987 and 2016, at least 1,472 Pak citizens were charged with blasphemy—730 Muslims and 501 Ahmadis. With Imran Khan as the military’s newly minted poster boy of modernity, the Kartarpur Sahib Corridor was opened to divert attention from Army atrocities. It was a damp squib. Both America and China chastised Imran’s infirmity in taming terror promoters. He hasn’t moved an inch on India’s decade-old request for the extradition of the perpetrators of the 26/11 Mumbai massacres. He has reneged on his promise of not letting Pak territory be used for terror attacks. The double-dealing former cricketer invites India for talks on one hand while on the other he carries forward ISI’s agenda of fomenting trouble in Jammu and Kashmir. Though previous prime ministers like Benazir Bhutto and Nawaz Sharif stuck to the K-word for political survival, they were able to dilute the military’s direct interference in diplomatic and civic affairs. Not Army captain Imran Khan, who is his own POW. Let India engage him at her own peril.